Psst…here’s one of my ageless beauty maintenance tips – Face Serums. I’ve been using them as part of my regular skin care for years, simply because they work. I love serums because I can see and feel the results. You’ll notice that face serums are expensive. Yikes. However, I assure you that serums are well worth the cost. Many brands come in pump bottles or have medicine dropper applicators to give out just the tiny amount you need. Those few drops are super-efficient. A small bottle should last you months. As we age, our skin has a slower capacity to repair itself. It needs a boost and a helping hand from us. Hence, we need direction of where to go and what to do for maintenance. Yes, maintenance is my word for beautification and health. In the past, I have assumed that face serums are for dry skin or combination skin. I was wrong. Because through this research, I found out that people with oily skin can also benefit. A face serum is a type of moisturiser that is lighter and penetrates deeper by providing a high concentration of active ingredients. • Face serums are beneficial for many skin types -but not for everyone. • If you have a chronic skin condition like eczema or rosacea, then first talk with your dermatologist. • A little goes a long way. Therefore, more is not better because a serum is very concentrated. • Serum does not contain a sunscreen. • Form a great line of defence. • Pack in more antioxidants than any other skin care product. • Improve your skin’s ability to retain moisture. • Strengthen the skin and helps to maintain firmness. • Protects against fine lines developing. When should I use a serum? • Layer the serum under your moisturiser. • Or, the serum can be used as an alternative to a moisturiser. I do this several evenings during the week. • Don’t use at night if you are already using a retinoid = too many combinations of products. What ingredients are found in serums? Antioxidants. Vitamins that help to reduce the damaging effects of external factors on your skin, such as pollution and sun exposure. Peptides. Amino acids which help to promote collagen production, helping your skin look smoother. Hyaluronic Acid. The name may be a bit scary but do not fear this. Hyaluronic is one favorite of mine. It’s a substance that occurs naturally in the body and is found in our connective tissue. The skin identical molecules found in hyaluronic have the ability to retain moisture and this is a good thing. Because skin moisture relates to youthful skin with firmness. Hyaluronic acid is helpful for all skin types and not only for a youthful dewy skin. It repairs the skin barrier to minimize issues of sun damage, acne, sensitivity, and rosacea. I have more than 20 years’ experience as a spa expert working with beauty products globally and with aestheticians worldwide. In spite of this, I decided it was time to go to the source of pure medical advice. So, I asked one of my respected colleagues to weigh in on this subject. Meet Dr Andre Berger, a triple board-certified physician and the founder of Rejuvalife Vitality Institute . For over 30 years Dr Berger has been a leader with a passion for anti-aging and non-surgical cosmetic techniques. What are a few choice ingredients to look for when purchasing a face serum? – Essential fatty acids, amino acids, and ceramides to hydrate. They improve skin dryness and fine lines. Do vitamin C, green tea, pomegranate, or resveratrol (the compound found in red wine) really work? Are they in sufficient concentrated quantities? Or is this a marketing gimmick? What basic advice to you give your patients on using face serums? Serums can be a primary skin care treatment. They also can be used as an add on to your daily skin care routine. Applying it under your moisturizer of choice is great for most. In some cases it can cause irritation to those with certain sensitizing skin conditions such as eczema and rosacea. Older woman or women with dry skin may benefit more with serums as an add on. • Cleanse regularly and include your neck. • Pat your skin dry. • Take a pea size amount of serum and pat over your skin. I sometimes only focus on my eye and lip areas. • Allow time to absorb if applying normal moisturizer on top. • Cleanse from the inside. Consequently, this means drinking plenty of water during the day. Sometimes after applying a serum, my skin will feel tighter immediately and I enjoy that sensation. If I had a tiring day – I make certain to do skin maintenance that night to ensure the next day my skin will not show the effects of stress. It’s all about knowledge, positivity, and action. You also wake up and your skin will feel and look as if it has been taken care of. A fabulous confidence boost to start the day. 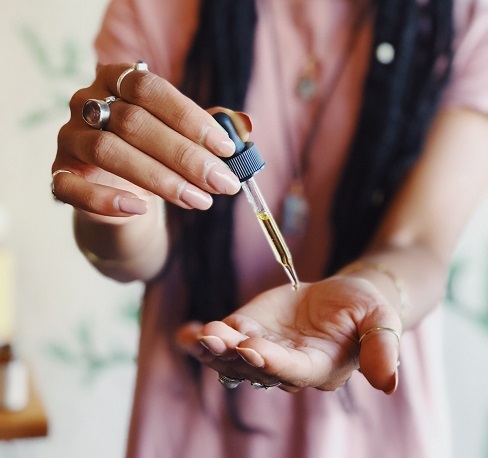 Hey lovelies – let’s talk holistic beauty. Hit me up for a free call to discuss the secrets I’ve learned from living in a dozen countries. Contact me to discuss your Ageless Beauty – It’ll be fun.